If you are doing audience scanning, it is vital to know how much light you are putting into the audience. The information below discusses how to do these measurements, and what the light levels should be. The technique described on this page was developed by Greg Makhov of LSDI. It greatly simplifies making safety measurements. Instead of having to measure different parts of a show at different locations in the audience, all that is necessary is to measure a static (non-moving) beam. Then, based on the type of show - static, scanned or “10x” — the laser power is set to a known, safe level. The photo at the top of this page shows a well-designed laser display. Tight, low-divergence beams are aimed above the audience, while wider, high-divergence beams go into the audience. The audience beams usually have less power as well. This is not a disadvantage. As beams come closer to the audience, they appear brighter. So a lower-power beam aimed towards an audience can appear just as bright as a more powerful beam aimed above the audience. What is the maximum allowed light level? Over decades of study, safety experts have determined the Maximum Permissible Exposure (MPE) level for various types of lasers and exposure lengths. These MPEs are listed in standards such as ANSI Z136 and IEC 60825. They also form the basis of laser safety laws in countries that regulate laser exposure. In such countries, your show cannot expose an audience to laser light that exceeds (is brighter than) the MPE. You could be prosecuted by the government, or sued by a private person or company. MPEs are essentially the same around the world. What may differ from country to country is how strictly laser laws (if any) are enforced. Just because a show is legal, or is not stopped, does not necessarily mean that it is safe. ILDA does not dispute that the MPEs are valid. They have been carefully examined in laboratory situations. The MPEs are set low enough to provide a safety factor. We support the MPEs. Whether you choose to scan at the MPE, or (under special conditions) at 10 times the MPE, the first and most important thing is to know exactly how much light you are putting into the audience area. For audience safety measurements, you need to accurately measure the beam's irradiance. This is the power over a given area, expressed in units such as "milliwatts per square centimeter". For example, a 1-watt laser can put all of its power into a single thin beam that can enter the pupil. The irradiance is very high; it can instantly cause severe eye damage. Or, the same beam can be spread out using lenses or scanning, so that only part of the light enters the eye at any one time. This lowers the irradiance. If the irradiance is low enough, the beam from a 1-watt laser can be safe for audience exposure. To measure irradiance, you MUST use an appropriate power meter. You cannot "eyeball" it. The eye is not nearly accurate enough. There are two main parts to the meter: the measuring part, and the light detector head. The head can be a silicon detector, or a thermal detector. • Thermal detectors are less sensitive to low, milliwatt-levels of light. Their advantage is that they are far less sensitive to differences in visible wavelengths of light. The detector head ideally will have an aperture (hole or active area) of one square centimeter. When this aperture is in place, the meter can then measure how much power falls on that square centimeter. For larger or smaller detectors, calculate the difference between your detector’s area and one cm², and then divide or multiply by the appropriate amount. For example, if the detector area is only 0.75 cm², then you would multiply your power readings by 1.5 to find out the irradiance in cm². • Use an appropriate power meter and detector head. Be sure you are operating it properly. This can be tricky, so read the manual and double-check your usage. • The detector head must be at the same distance as the closest human exposure. 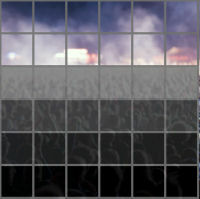 This represents the maximum power an audience member or performer could receive. • All colors in the beam must be on, at the maximum show level. For example, if you have an RGB projector, the red, green and blue beams must all be on at the same time, and at the maximum power you are using during the show. • Your software must be putting out a full-power beam. Some laser software automatically adds blanking points when the beam is a dot. Check with your software company to ensure that this is NOT happening during the measurements. The beam should be "on" 100% of the time. • The beam must be static. It must be a single spot of light. Once you're sure of these conditions, put the detector head into the beam and measure where the light is strongest. This is a "static laser power measurement". What are the power limits (MPE)? Depending on the type of show you are presenting, there are three Maximum Permissible Exposure levels to consider. Choose the one most appropriate for your presentation. • Static: 2.5 mW/cm². The "1/4 second" MPE for a static (unmoving) beam of visible laser light is 2.5 milliwatts per square centimeter. This MPE assumes that a person will automatically blink within 1/4 second of having the beam in their eye. If your show has static beams -- for example, a "laser sculpture" -- or hot spots, then your laser power measurement must be below 2.5 mW/cm² at the point of closest human exposure. This point is the closest performer or audience member who may be exposed to the beam. • Continuously scanned: 10 mW/cm². The "single-pulse" MPE can be applied to a scanning beam. As the beam scans across the eye, each scan is a pulse. Using the slowest (most hazardous) pulse rate, the MPE is 10 mW/cm² . This means that if your show has continuously moving beams in the audience, with no "hot spots", your static laser power measurement must be below 10 mW/cm². • ILDA “Level 2/10x" scanning proposal: 100 mW/cm². ILDA has set forth a detailed proposal, stating that scanning a beam at 100 mW/cm² is acceptable under specified conditions which are listed below. If these conditions are met, then ILDA does not object if a Member scans beams that have a static laser power measurement below 100 mW/cm². Keep in mind that this non-objection applies to ILDA only. The ILDA proposal is just that —a proposal — which is not currently a law or regulation in any jurisdiction we are aware of. Regulators such as the U.S. FDA or venue operators may have different laser safety criteria, so just having limits of static 2.5 mW/cm², or scanned 10 or 100 mW/cm², may not be legal or sufficient under their criteria. That said, ILDA believes the above MPEs will be especially helpful in countries where there are no laws specifically against scanning audiences, or where such laws are inadequately enforced. 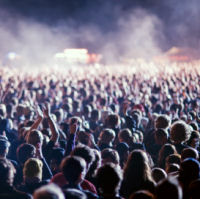 It is better to calculate or measure the irradiance and scan at a known, safe level, then to have no idea of what irradiance (beam strength) is being put into the audience or on performers. A scan-fail circuit must be used. The irradiance at the point of closest human exposure must be accurately known for each beam, and always must be kept below 100 mW/cm². The show must be continuously monitored by a trained laser show operator who can use an E-stop to immediately stop laser exposure in case of potential safety issues. If audio announcements are made at the event or venue, then an audio warning must be announced as well. It is highly recommended to video record the pre-show setup activities such as measuring beam power, and to video record the entire scannable area during scanning activity. This level is intended for discos, nightclubs, concerts and other venues where audiences may already be accepting (or even welcoming) a higher level of risk and a greater degree of personal risk management. IMPORTANT: Use of 100 mW/cm² plus the specified conditions above must be acceptable to all parties, including the client, venue, and regulators/inspectors. For details on the proposal, and reasons ILDA feels 100 mW/cm² plus the specified conditions are safe, see the document “Scanning Audiences at Laser Shows: Theory, Practice and a Proposal”, especially pages 25-28. Your initial measurement will probably be well above the appropriate MPE. You then need to reduce the irradiance when the beam is in the audience. There are two main ways to do this: 1) make the beam fatter, to spread out the light, and/or 2) lower the laser power. In general, it is better to increase the beam’s divergence. You are spreading out the available light, not reducing the total quantity of light. Yes, the beam will be fuzzier but this is the trade-off for being able to use more total light. Do this by putting a concave lens in front of the projector's output. You can carry lenses of various powers, so you can choose the best one to give you the desired irradiance without the beam being too fat and fuzzy. Parallel light rays from the left side are diverged by a double-concave lens, so that they spread out on the right side. Diverging a laser beam in this way lowers the intensity of light that can enter the pupil of a viewer's eye. An ideal solution is to use a software controlled "beam brush". This device is a moving lens that can quickly change the beam's divergence, making it sharp or fuzzy. The laser graphics software controls the beam brush. The beam can be tight and full power above the audience, and fuzzy with lower power when in the audience. As of September 2015, a practical beam brush device has been demonstrated but is not yet commercially available. Shows look best if the beam is at maximum power above the audience. Therefore, you also should consider techniques for reducing the beam power only when it is in the audience. This reduction can be done at the projector with some type of filter or beamsplitter in the lower half of the scan field. Of course, this must be firmly affixed relative to the projector output, and the projector cannot be bumped or moved during the show. A more flexible way is to use a software feature sometimes called a "beam attenuation map". For various parts of the scan field, you can paint the attenuation level you want. The darker the "paint" in an area, the more the laser power is reduced by software. The darker the map block, the more the software reduces the beam power when the laser scans in that area. As you can see, the beam power is reduced the most for the closest audience members. The power is not reduced as much for persons in the back, since the beam is wider in the back and is thus safer. In the area above the audience there is no beam attenuation at all. Note that in a real-life situation, it would be necessary to measure or calculate the beam irradiance for the farther-back zones, to be sure the desired MPE is not exceeded. Also, in many countries, if you aim beams into the sky, this must be done in compliance with aviation laws or guidelines.